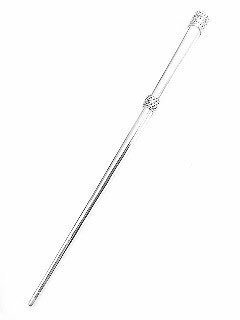 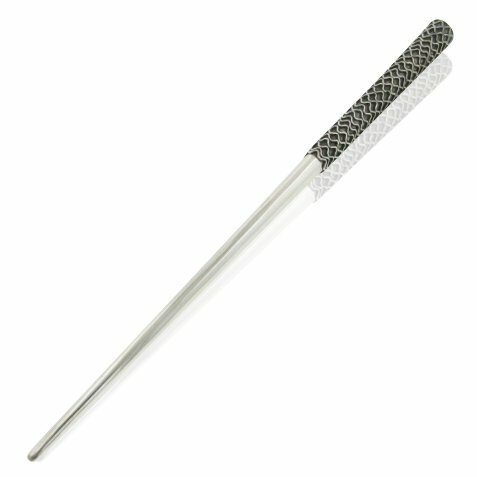 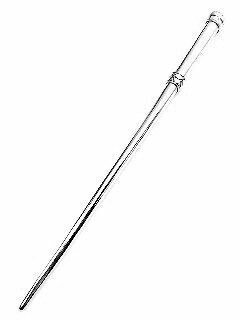 This is a Simple but Classy Sterling Silver Hair Stick.It measures approximately 6&3/4" long, weighs approximately 12grams, and is crafted with genuine .925 sterling silver and marked. 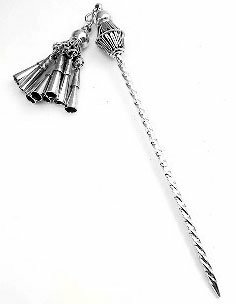 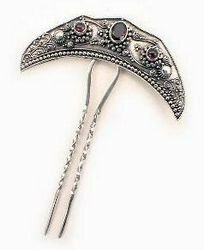 This is a Long Twisted Sterling Silver Hair Stick.It measures 5" long and has an additional 2" in length with the Dangling Gypsy Drop.The hair stick weighs approximately 21grams and is crafted of genuine .925 sterling silver. 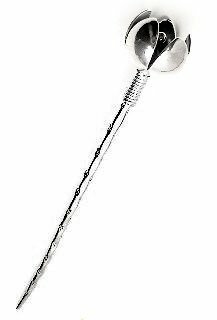 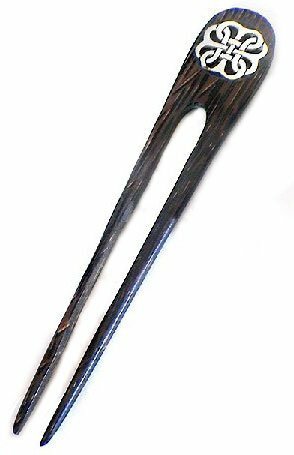 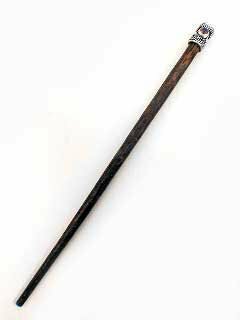 This Sterling Silver Hair Stick with has an Antiqued Decorated Top.It measures 6.75" long x 3/8" thick at the top and tapers down.Item is crafted of genuine .925 sterling silver and marked. 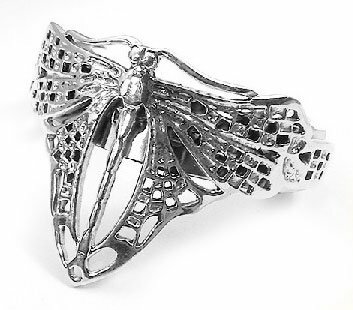 This Hair Clip is Set With a Sterling Silver Dragonfly That is 1.25" Long and 1&7/8" Wide.This Unique Hair Clip Weighs 14grams and is Marked .925. 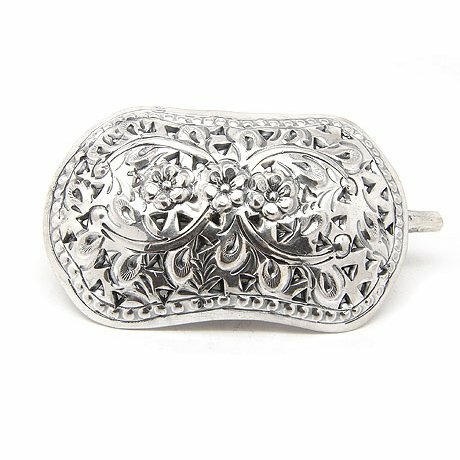 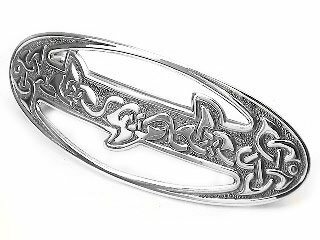 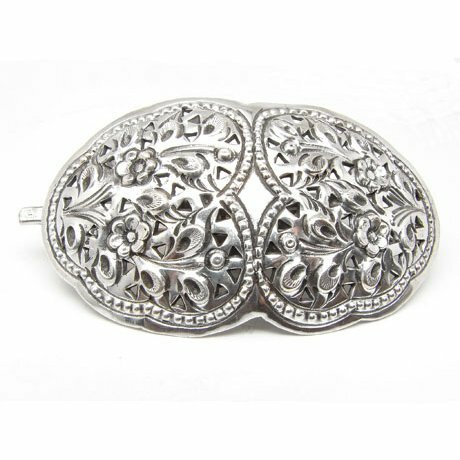 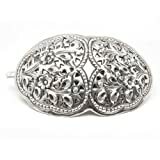 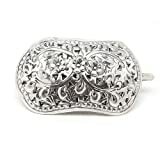 This is a Solid Sterling Silver Hair Barrette with a Gorgeous Celitc Knotted Vine Design.Barrette measures 3.25" long x 1.25" wide, weighs 26grams, and is stamped .925.The clip is made of a base metal. 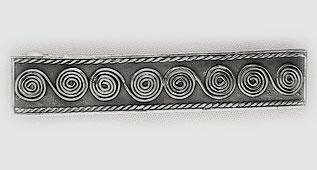 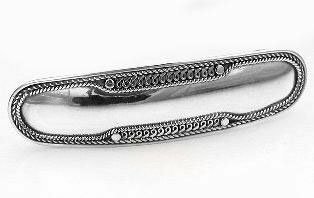 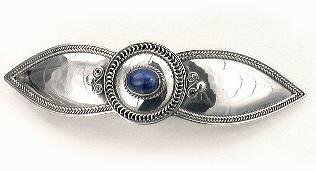 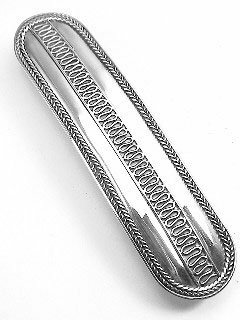 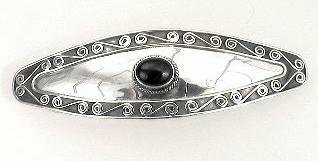 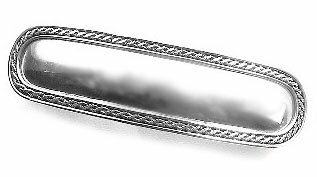 This is a Beautiful Sterling Silver Hair Barrette with a Braided and Curl Design.It measures 3.25" long x 7/8" wide, weighs approximately 14grams, and is crafted of genuine .925 sterling silver.The clip is made of a base metal.